Since early August, PBO strainmeter crews have been working on Vancouver Island to create a network of borehole strainmeters. 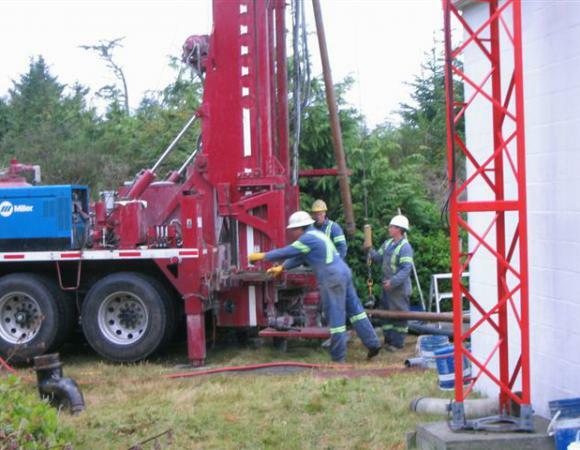 As of this writing, four new boreholes have been drilled on the Island, three at the Pacific Geoscience Center (PGC) located in Sidney, and one at the Ucluelet Coastguard Station on the western side of the Island. 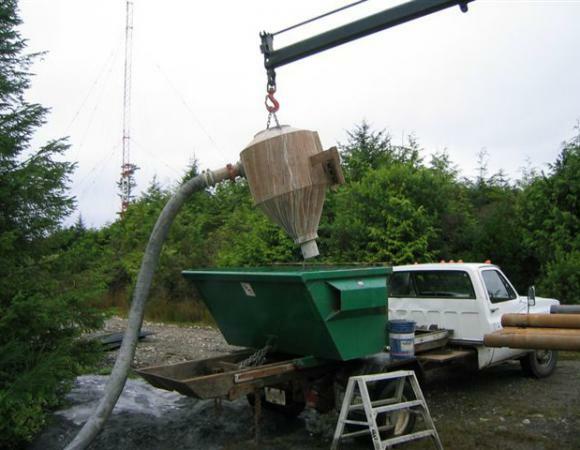 Unlike the previous strainmeter installs, a challenge at these Canadian sites has been to contain and remove all liquid and solid matter, or “cuttings,” extracted during the drilling operation. 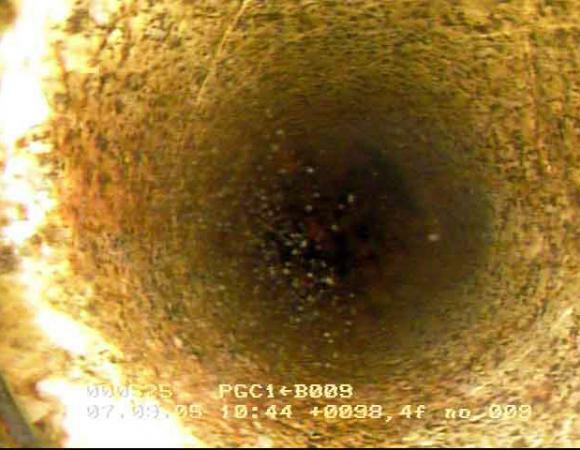 This process is required by the site permits so as not to contaminate the local bays with silt from the cuttings. 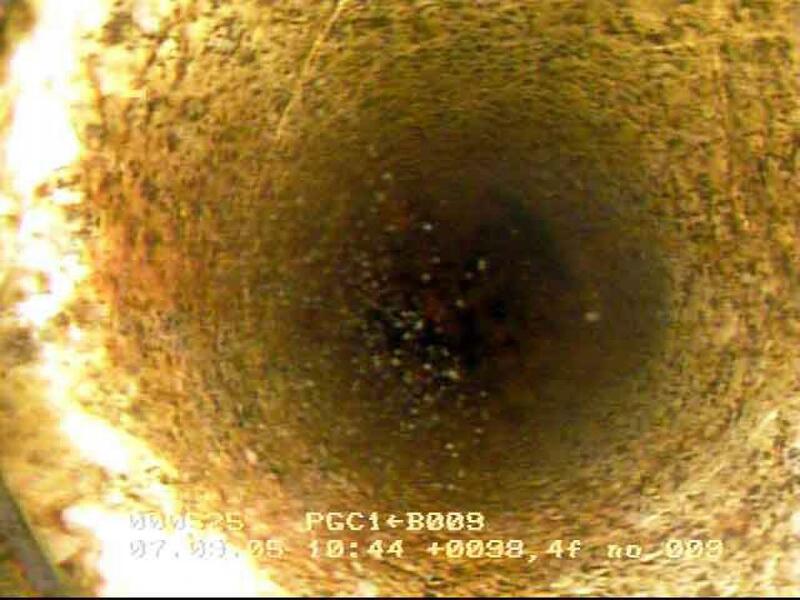 Competent sections of bedrock have been found at each site and the PBO crew is getting ready to begin a succession of strainmeter installations, starting with the PGC-3 borehole located on the northeast side of their facility. 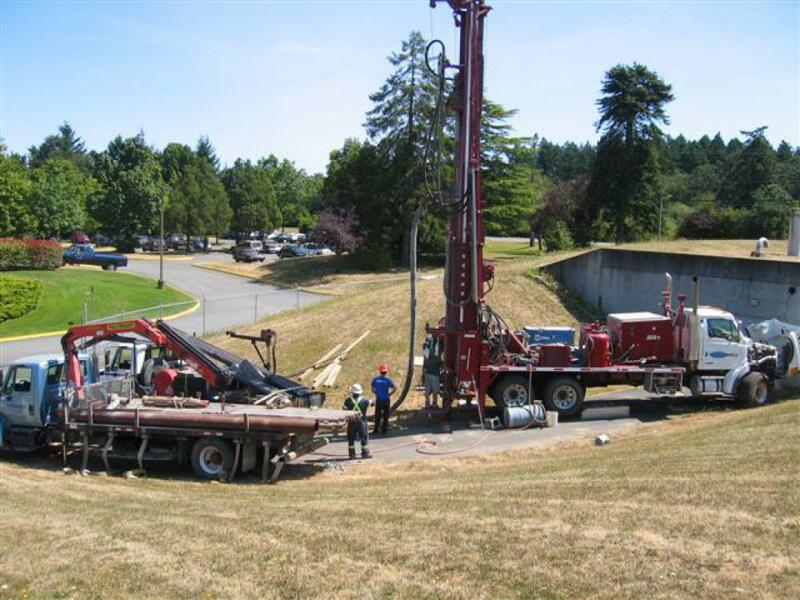 Crews are currently mobilizing to the site and installation of the first of the four strainmeters is scheduled to take place on September 13, 2005. The crews will continue working on the Island until all four sites have been installed. In lieu of major disruptions, the crews will have installed a total of 10 strainmeters by the end of the month. 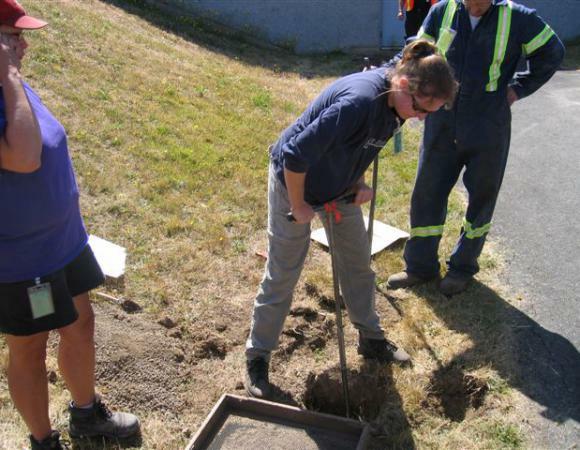 The new stations on Vancouver Island will complete a major strainmeter network targeted at recording slow slip, or ETS, events occurring within the footprint of this strainmeter network. Coupled with new and old GPS and seismic stations in the region, these strainmeters will provide a significant increase the ability to quantitatively analyze these events. 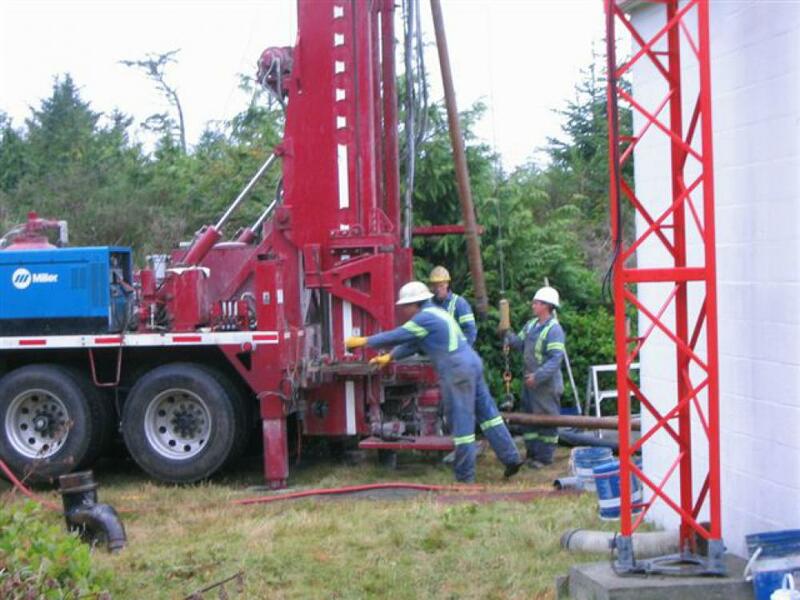 The strainmeters will bridge the bandwidth gap between GPS and seismic data sets with the goal of providing a better and more complete data set in order to gain a better understanding of these types of events and the interaction between the Pacific, North American, and Juan de Fuca tectonic plates.